There are a lot of misconceptions surrounding the Crusades, usually portraying Muslims as the innocent victims. Thomas F. Madden, medieval historian and expert on the Crusades, believes that the world could use a refresher course, starting with the undeniable facts. Misconceptions about the Crusades are all too common. The Crusades are generally portrayed as a series of holy wars against Islam led by power-mad popes and fought by religious fanatics. They are supposed to have been the epitome of self-righteousness and intolerance, a black stain on the history of the Catholic Church in particular and Western civilization in general. A breed of proto-imperialists, the Crusaders introduced Western aggression to the peaceful Middle East and then deformed the enlightened Muslim culture, leaving it in ruins. 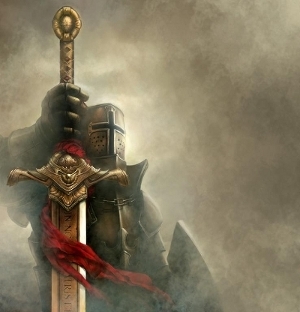 via MUSLIM NON-SENSE: Here Is The REAL History Of The Crusades - Clash Daily.